A dining room is more than where people come together to dine. It's where stories are shared, worries are eased, exciting news is announced and meals are enjoyed. Dining together in a room created simply for feasting is an ancient tradition, dating back before medieval times. However, the Greeks were one of the first to understand the importance of sharing a meal together around a table. Not only is it comfortable but it is secluded and dignified. 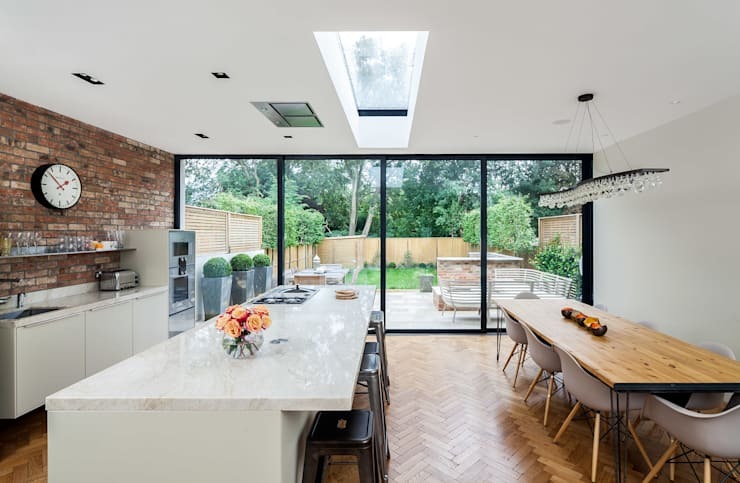 In the 21st century open plan homes and smaller apartments make lavish dining rooms a rarity but there is always space for a table upon which a meal can be shared. What's more is that with modern designs, personal style and the right accessories, a dining room can bring the décor of a home together right at the heart. 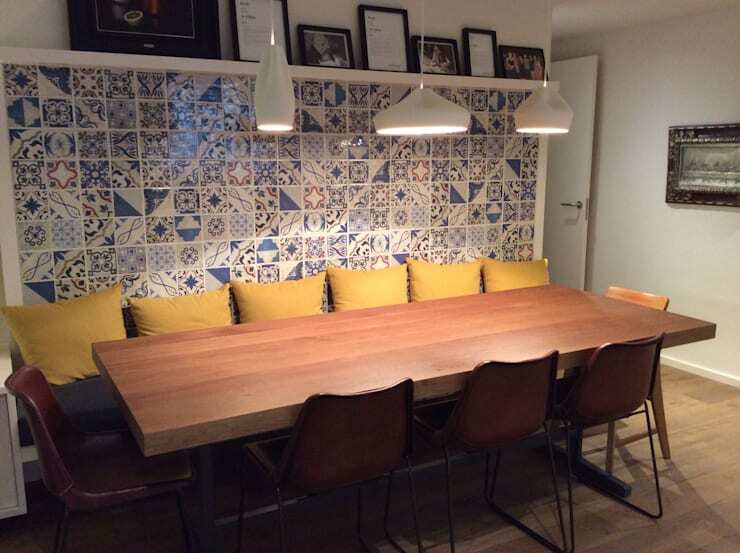 Before designing a dining room it is important to look at the space available to work with. Everything from the size of the dining room table and number of chairs to the accessories will depend on this. Choose a space in the home that is light, spacious and fairly secluded, if possible. Dining rooms are also usually close to the kitchen, making it easier to dish up food and carry plates and cutlery back and forth. Interestingly enough, it was only in the last 100 years that kitchens and dining rooms began to be positioned closer together. Historically, the dining area was very separate to the kitchen, sometimes even on another level. 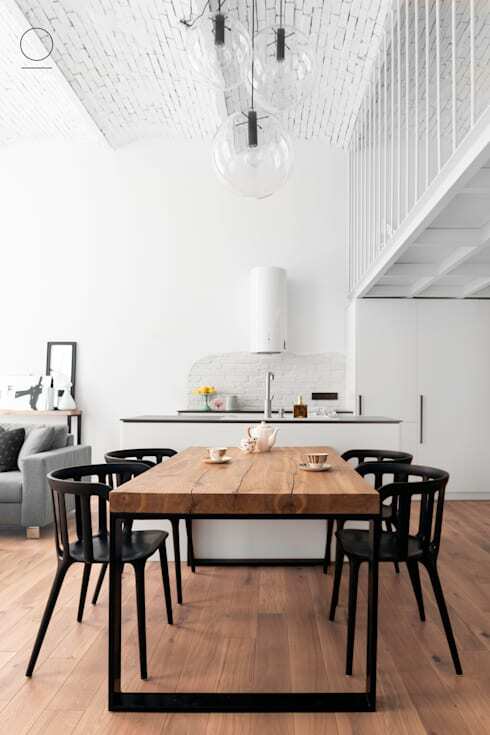 Drom Living has some incredible designs and ideas when it comes to dining rooms and the space that the dining room furniture occupies, as seen in this photograph. The trick is to ensure that the furniture doesn't take up the whole room and that all aspects of the room are utilised from the walls to the floors. Size is particularly important when it comes to the dining room. Whether the space is small, large or just right, light is a dining room's best friend. Light can turn a table and chairs into a romantic setting or a celebratory affair. Light can transform a tiny space into a spacious room and too much space into a cosy nook. Making the most of natural light is also a great design tip in the dining room. It opens the room up and creates a warm, lovely look and feel. See these ideas for bathing your home in natural light. 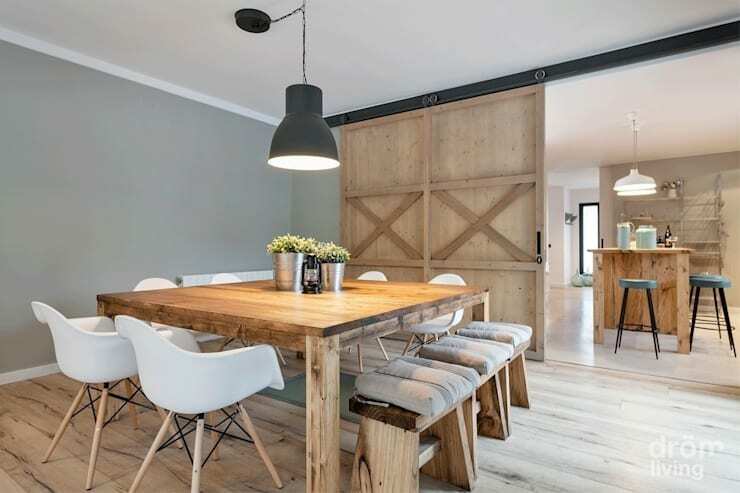 The size of a room will also determine the size of the dining room table and the chairs, as well as any other furniture that may be included in the room. Work with the space available—if the room is long, opt for a long dining room table. 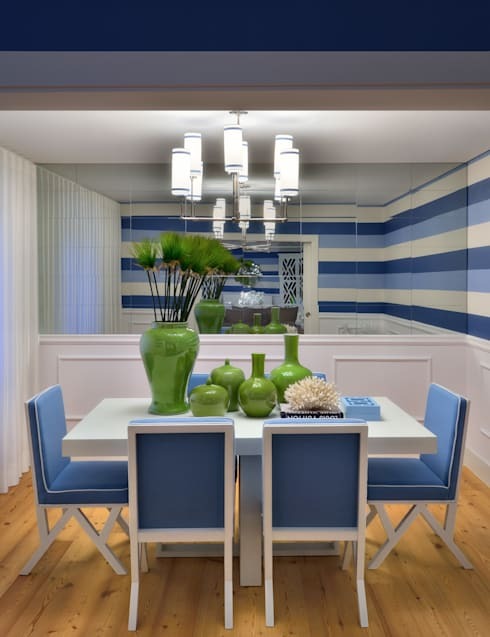 Make the most of the vertical space around the dining room too with tasteful décor and artwork. These can open up and fill a dining room. A dining room is the room where personal taste and style can really emerge. 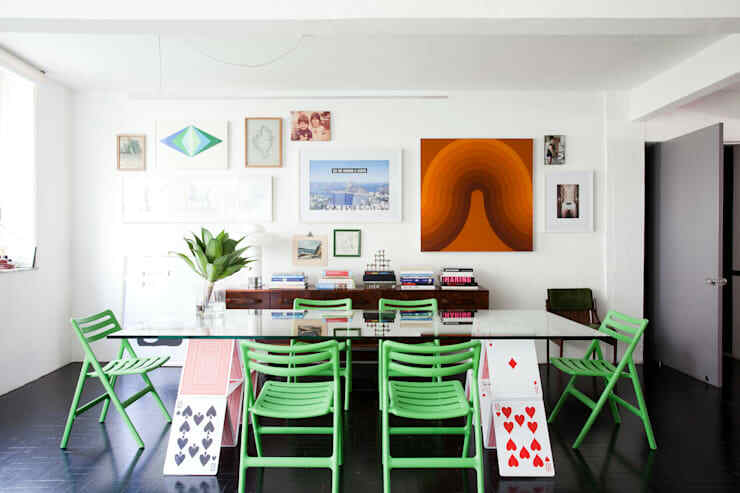 Opt for a simple table with colourful or funky chairs to bring some colour into the room. Another great design tip is to mix and match the chairs, which creates a modern and eclectic look and feel. The everything matching approach is long gone with many designers today going for a variety of different furniture in one room. Not only is this a more relaxed style but its an opportunity for some truly gorgeous furniture pieces without overwhelming the room. The walls around a dining room are also a canvas for personal style—art, mirrors, shelves, paint, wallpaper and even vertical gardens can all be used to create the ultimate dining room design that suits the home. The lamps and lighting structures around the table can add a trendy touch to any dining room. Look for bold lampshades or opt for a beautiful chandelier. While this is a chance to get creative, try to keep the style in line with the rest of the home's design to create a sense of cohesion throughout. The dining room table is the centre of everything in a dining room and serves to complement the entire design of the room, as the entire room serves to complement it. Neutral, warm, earthy tones for a dining room table work with any style and give the decorator a chance to play around with colour everywhere else, whether it's the chairs, the cushions or the accessories. Wooden tables are incredibly popular as are glass table tops with stylish legs. Have a browse through these natural, wooden tables from Natulier here. The right dining room table also depends on the size of a room. There is not point putting a square peg into a round hole. Opt for a table that fits perfectly in the room with enough space for people to push back their chairs, move around and for food to be served. A dining room table should last a good couple of years so invest in a quality table that isn't going to stain easily or succumb to wear and tear too quickly. Accessories can make a dining room from the ceiling right down to the floor. Choose a colour scheme and spend time choosing cushions, artwork, lampshades, lights and wall décor that work together in the dining room. If the accessories are right, then a dining room can be absolutely perfect. Have a look through this beautiful artwork for inspiration. Treat your home by placing fresh flowers on a dining room table or beautiful candle sticks with candles. Accessories that create height in a dining room can change the whole look and feel. Beautiful vases, long lamps and centre pieces can create a warm and inviting dining room. Also, never underestimate the beauty of a well-laid table when guests are expected. Matching, clean serviettes, quality wine glasses and matching dinner plates can all go a long way in setting the perfect dining room scene. Mirrors are a home's best friend. They help to create the impression of space and depth, making a room feel less crowded no matter how many guests are gathered around the table. By positioning a wide, long mirror in a dining room, the whole design can be improved. Mirrors also bring in more light, reflecting the light that already exists in the room. This opens up the dining room and makes it feel warmer. The wonderful thing about mirrors is that there are so many sizes, shapes and styles to choose from so including one in the dining room can reflect the design of the rest of the house. Opt for a bold, colourful frame or choose a funky shape. The perfect dining rooms is a few tips and tricks away, all it needs is a bit of love and attention to flourish. What improvements would you like to make to your dining room? Let us know in the comments, below.